As a pregnant woman, I do love to eat green mango. Not the one that when you pill it it is already yellow. 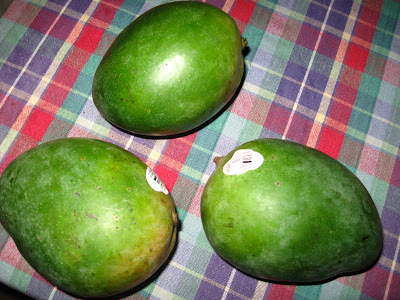 This three big mangoes were still greenish when I opened it. I enjoyed it, although the prices were way too high. Spending too much for only 4 [by the way I could not wait so, I ate the other one] mangoes. Has to save money, but sometimes when you crave about something you should go for it. But not often. kalami ani day makatobod laway.. tagumkom jud ni bah..